Since I made bangs I started to use my hair straight more often, because I think it looks better with the bangs. But I love my hair when it is curly and I recently found this tool which I will be using all the time when my bangs are gone. I have a hard time using a babyliss, and before I got this auto rotating curler from Irresistible Me I used to use my hair straightener, but this curler is much much easier than a babyliss. I have a few photos showing the steps to get bouncy and beautiful curls. 1 . First you turn the auto rotating curler on and choose the temperature. I normally use 300F which is not too hot, and I believe damages my hair less. 3. Clip the tip of your hair to the "clip on thing" on the iron. 4. Choose which way you want it to curl: right, or left (outside or inside) and press the button of the side you chose. 5. 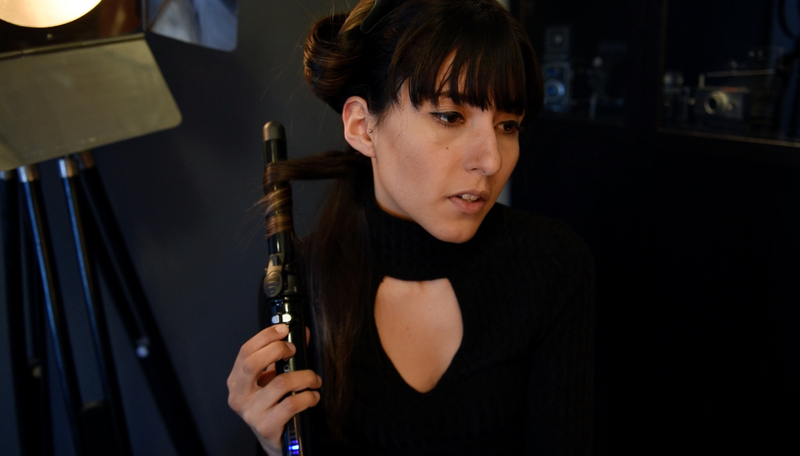 Once the hair is all wrapped up in the curler, wait for about 20 seconds, and then press the red button so the curler rotates back to the initial position. 6. Open up the "clip on thing" to free your out of the curler. 7. Admire and enjoy your curls!